Looking for a thoughtful Mother’s Day gift for that special geocacher in your life? As both a mom of 4 and a self-professed geocaching fanatic, I have put together a fun list of my top 5 picks for Mothers Day gifts for geocachers. I put together this list from gifts I have received in the past and really enjoyed, and also from ideas from other geocaching moms. I hope it inspires you to find a meaningful Mother’s Day gift this year for the special geocaching mom in your life. I always take a camera along when we go out geocaching because I love to take pictures of things we see while we are hiking. You never know what kind of neat sights you will come across when you are on the trail. However I don’t like taking our DSLR camera when we are geocaching. It was really expensive and quite frankly I don’t want to risk something happening to it while we are out in the woods. Plus it’s heavy and bulky – taking up a lot of room in my backpack. 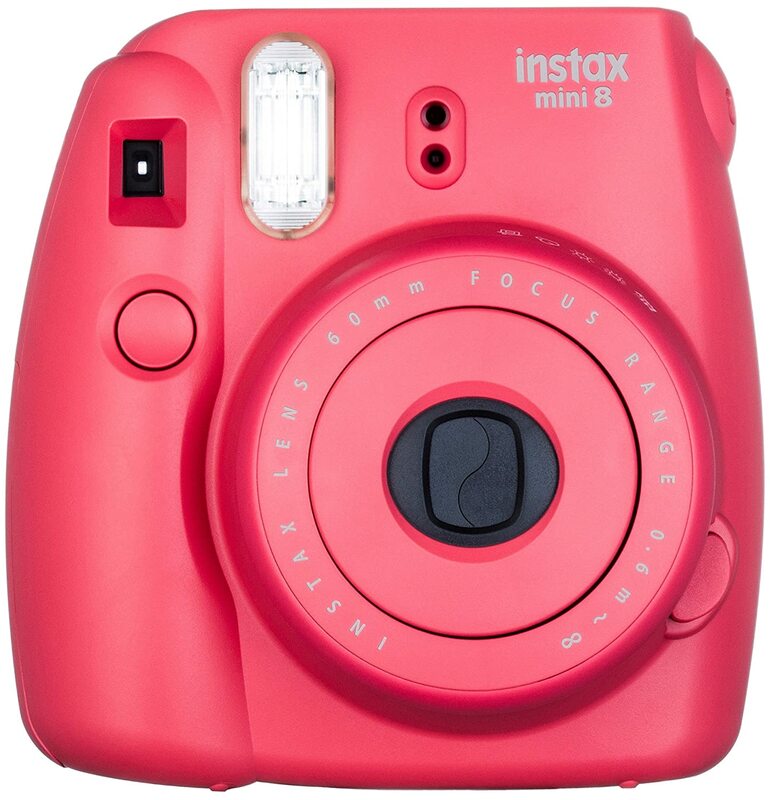 So that is why number one on my list of Mother’s Day gifts for geocachers is an Instax camera. The Fujifilm Instax is the perfect camera for geocaching. It is lightweight and doesn’t take up much room in my geocaching day pack. The feature I love most about the Instax camera is that it dispenses the pictures immediately and they develop right before your eyes – much like the Polaroid cameras that were popular when I was a kid. The photos are credit card sized and are a great way to capture memories of your geocaching outings. If you decide to get your geocaching mom an Instax camera this Mother’s Day, don’t forget to get her extra film. Amazon has about the best price that I have found on the film refills. A lot of geocaching moms, myself included, love to keep scrapbooks or journals of all our adventures. So my #2 Mother’s Day Gift idea is a Smash Book or a nice journal so that your favorite mom can document all their geocaching adventures. My personal preference is a Smash Book. They come in a variety of designs, but I personally love the Eco Green Smash Book for geocaching as it has a lot of nature themed pages that are perfect for documenting any outdoor adventures. If you want to see some of the inner pages of that particular design of Smash Book, be sure to check out my letterboxing Smash Book post. 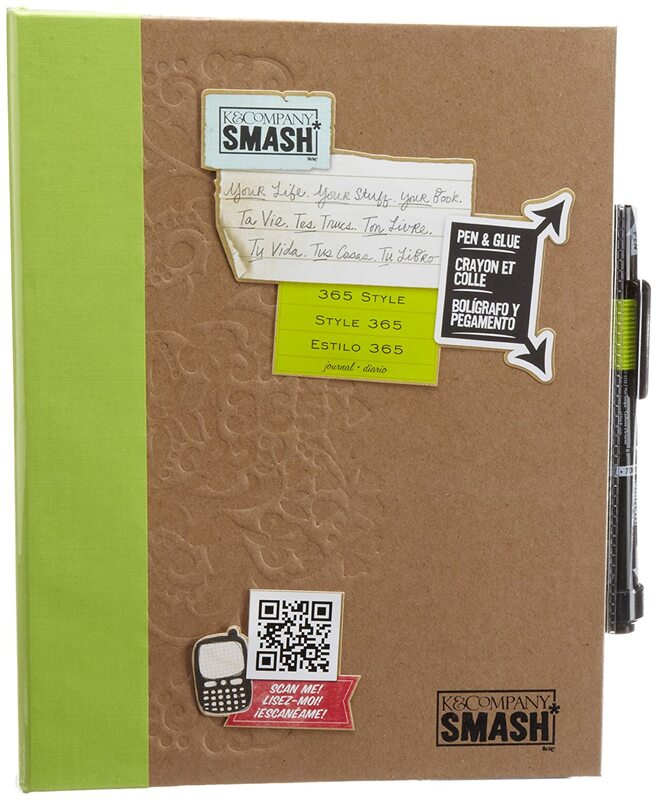 A Smash Book is part journal, part scrapbook. I use mine to write about our adventures. I include photos and any memorabilia, like park brochures, that I pick up along the way. It is really fun to look back through them as the years go by and remember all the fun you had on your geocaching outings. Each Smash Book comes with 40 pages. In my experience this is plenty to capture all your memories for at least a year of geocaching. All Smash Books also come with a pen and glue stick combo that fits in the elastic band on the side of the book. One end is the writing pen and one end is a glue stick. So it has everything she needs to get started preserving your family’s geocaching memories. My husband usually carries the backpack with all our supplies whenever we go out geocaching, but I like to have a waist pack for geocaching to carry a few things, like my camera, a pen, and our signature wooden nickels for trading. A waist pack (also known as a fanny pack) is just perfect for the few things I want to be able to get to quickly without rooting around in my husband’s backpack. 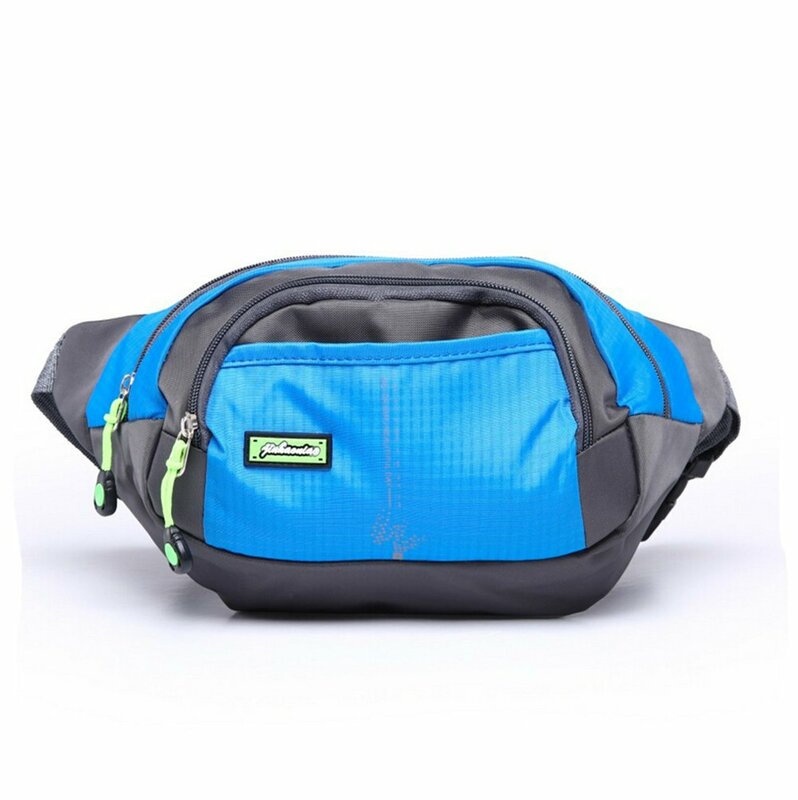 You can get waist packs in a variety of styles and colors. The best ones have multiple pockets so you can keep things organized. It’s a good idea to get a waist pack for geocaching that is water resistant – especially if it will be holding electronics like your cell phone and camera. Trust me – you never know when you are going to be out on the trail and get caught in the rain. I know that from personal experience! I can’t count the number of times where the day started out perfectly sunny and yet it started raining when we were a couple of miles from our car. This is totally one of those thing that most moms would never buy for themselves, but it can be a great way to have even more fun geocaching. You may be familiar with traditional travel bugs that are moved from cache to cache, racking up miles. A vehicle travel bug is similar. It is a decal that you put on your car or vehicle, turning the vehicle itself into a travel bug. It’s really a lot of fun to see how many people discover your car while you are out and about, and take the time to log it. Each vehicle travel bug is adhesive backed which makes it easy to apply to your car. 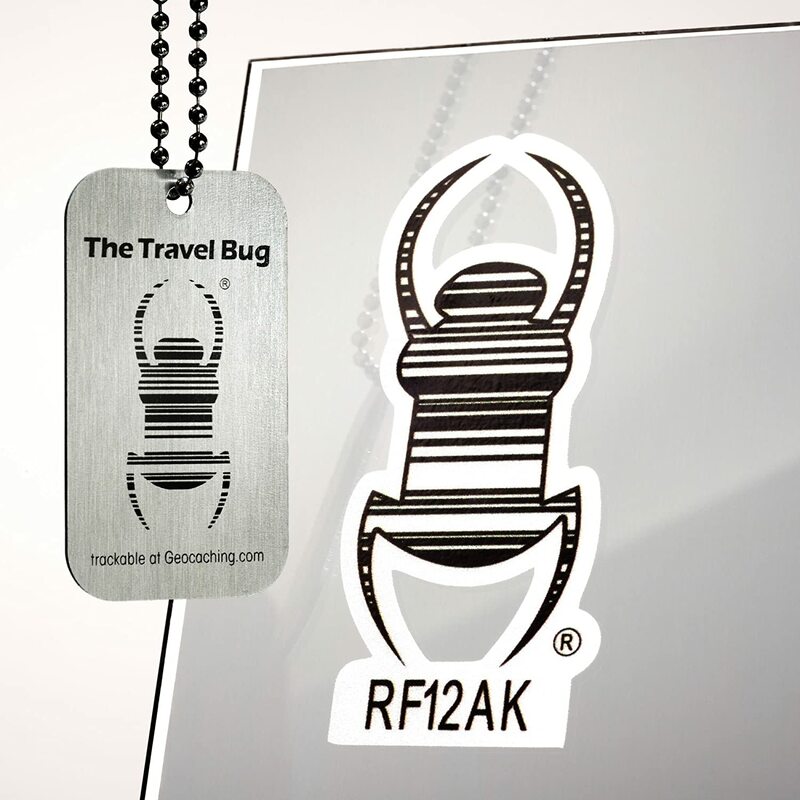 Each vehicle travel bug comes with a unique number that is trackable on geocaching.com. Any time a geocacher comes across your car and logs the number, you get a notice. We really enjoy getting notices when ours is found. It’s always interesting to learn where we were spotted. You never know when you are going to come across a damp log book in a geocache. You can’t write on those with the traditional ink pen that most people carry. That’s why I like to have a Fisher Space Pen in my waist pack. 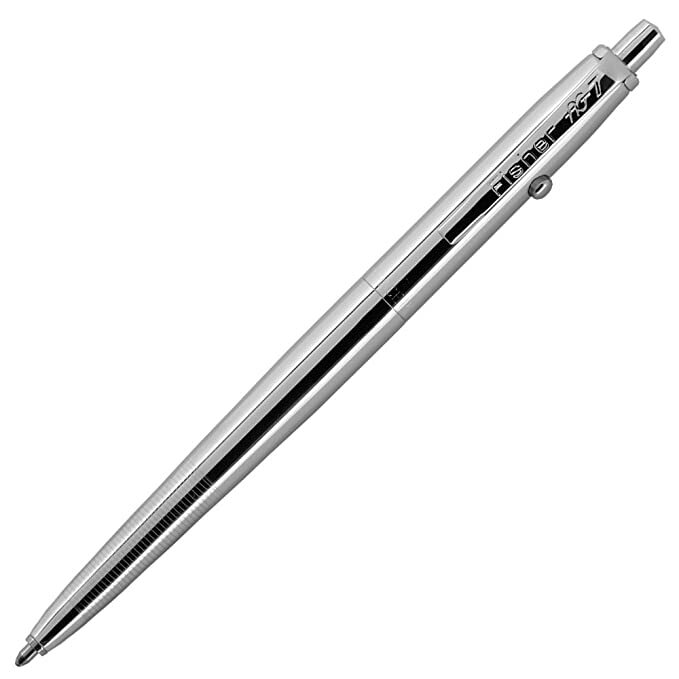 The Fisher Space Pen was designed by NASA for use by astronauts. It can write at any angle, even upside down. It can be used in extreme temperatures and will even write underwater. With this pen, damp log books are no longer an issue. I hope this list of my top five picks for Mothers Day gifts for geocachers has inspired you to think beyond flowers. Give that special geocaching mom in your life a gift she will truly love and find useful. So tell me… Do you have any other ideas to add to this list?